So here’s the deal: there’s a lot of books in my garage. Most of them are stock I acquired for selling at cons and other assorted stuff. I would like to get rid of them! So, in celebration of the release of The Infernal Battalion, I thought I would dust everything off, count it up, and see who wanted it. EDIT: I should have specified this initially, apologies, but I can only offer flat shipping to the mainland US. I will happily ship internationally and charge whatever it costs me; be aware, if you’re in Europe, this can be a lot. I will add a Shadow Campaigns and Forbidden Library bookmark to every order. I will sign and inscribe your books however you want me to! T-Shirts! I have a very limited number of these, left over from convention promotions. Until they’re gone, every order of at least $20 of books, I will throw one in. Specify shirt and size in your order, looking at the table below to see what I’ve got. They are black, with a BW book cover on the front and the title and year of the book on the back. MMPB: Mass Market Paperback: the standard US “small” paperback. $10. TPB: Trade Paperback: a larger paperback, similar in size to a hardcover. UK versions have UK covers. $15. Books are mostly in good condition, occasional squashing or slight bending caused by being in a box for five years. No idea if they’re first editions or not. First come, first serve! I’ll update this post with running totals, but I’m not at it 24/7, so it’s possible what you want may be sold. I’ll go in order I get the mails! Fortunately, it didn’t come to that. Nicolas Cheetham at Head of Zeus, who’d been one of the initial bidders on The Thousand Names, was excited to pick up where Del Rey UK had left off. Importantly, they agreed to bring the book out in a simultaneous release with the US; I’d been having nightmares about having to tell UK fans they were going to have to wait another six months. So, many thanks to Nicolas and Head of Zeus, and I can finally reassure everyone in the UK that they won’t have any delay in getting their Shadow Campaigns fix. 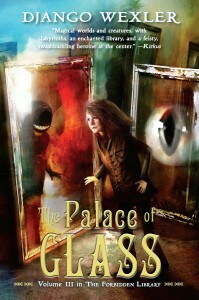 The Palace of Glass, book three of The Forbidden Library, will be released on April 12. There’s more great art from Alexander Jansson, which I’ll post some of here as we get closer. You can pre-order now! 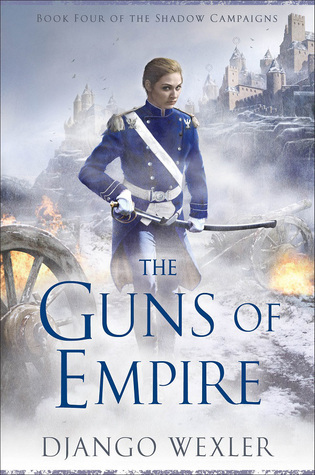 The Guns of Empire, book four of The Shadow Campaigns, will be released on August 9. Needless to say I’m very excited about this one, and I’m (still) in the process of working hard on it. And it’s also up for preorder! 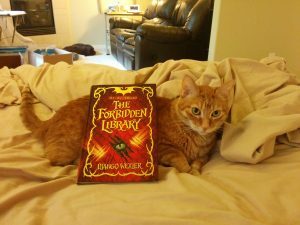 Going forward from there, my next project is Forbidden Library book four. After a great deal of outlines, negotiation, and head-scratching, we’ve decided that this will be the final book in The Forbidden Library series, meaning there will be four in total instead of five as I’d mentioned earlier. 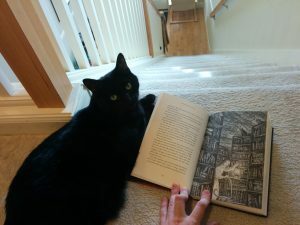 Let me emphasize, though, that this is not going to be a case of me wandering off and leaving a story unfinished; book four will have the conclusion that I’d planned for the series from the beginning. It will release sometime in 2017, although I’m not certain precisely when. After that comes Shadow Campaigns book five, which is also the end of that series. Those of you who follow me on Twitter know that finishing The Guns of Empire was a bit of a forced march, and book five will be released a little later in the year (probably October, although it’s not set yet) in 2017 to make sure there’s enough time for everything. There may, at some point, be a second Shadow Campaigns novella. It fits in roughly between The Shadow of Elysium and The Guns of Empire, but I don’t know at present when I’m going to have the time to write it. I’ll keep you posted. After that — unclear! In all probability, something cool and new. I have more stuff I want to write then you can shake a stick at (seriously, IdeasFile.doc is now like thirty pages long) so it’s a matter of picking and choosing. Good times ahead! My Shadow Campaigns novella, The Shadow of Elysium, is out today! Take a look. As usual, we authors do these yearly posts where we point out that there are awards out there, and that while we of course don’t want the awards, honestly, how gauche would that be, we probably wouldn’t actually turn down the award in the event that other people of their own free will, without being prejudiced, decided that we were the most award-worthy person in that particular category. The Campbell Award for new writers. This is my second (that is, final) year to be eligible for it. After that I’m an old fogey forever. The Shadow Throne is eligible this year, as is The Forbidden Library, though kids’ books are rarely nominated. In all honesty, I don’t deserve this one, because this year is an incredibly strong field (I will probably cast my personal vote for Robert Jackson Bennett’s City of Stairs) but if you’d like to throw Shadow Throne a nomination, I’d be honored to see it on the list. John Golden, Freelance Debugger qualifies here, and I thought it was a lot of fun. If you haven’t taken a look at it, it’s now available in e-book, audio, and paperback (bundled with the other John Golden story). Have a look! That’s about it for my stuff. In all seriousness, though, if you’re a WorldCon member, please nominate something — voting has been robust for the final round, but the nomination process is shakier since fewer people participate. Support your favorites!